During your first visit to our office, we will carefully examine your teeth and existing dental work. We will listen carefully to any questions or concerns you may have about your dental health. The thorough examination we perform will allow us to detect any potential problems (such as cavities or gum disease) that may be present. We also perform a careful screening for oral cancer and assess the stability and aesthetics of your occlusion (bite) and smile. With this information, we can offer you the best solutions and options to any existing concerns, and help you to maintain a beautiful, healthy smile for life. 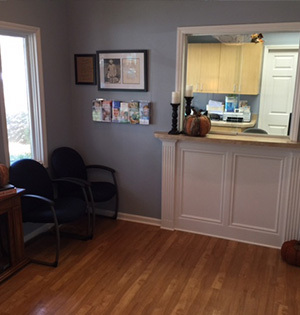 Regular checkups include a thorough cleaning, polishing, and an oral exam by Dr. Stuart. During the oral exam, he will check the health of your mouth, teeth, gums, cheeks, and tongue, as well as your existing fillings and restorations. Because constant pressure from chewing, grinding or clenching can cause them to wear away, chip or crack. Regular checkup appointments typically take about 1 hour. Patients are seen by appointment only. We make every effort to be on time for our patients, and ask that you extend the same courtesy to us. If you cannot keep an appointment, we ask that you repectfully give 48 hours notice so that we have adequate time to fill the availability.